National Mario Day is celebrated on March 10 (because ‘Mar10’ spells Mario) annually to honour Nintendo’s favourite Italian plumber. To mark the occasion, Nintendo will discount the in-app purchase for Super Mario Run for iOS by 50% off, which means it will drop from $13.99 CAD to $6.99 CAD in Canada. Super Mario Run is free to download and lets users preview the game, but the full game will require an in-app purchase. 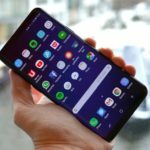 The game requires an Internet connection and does not have an offline mode. 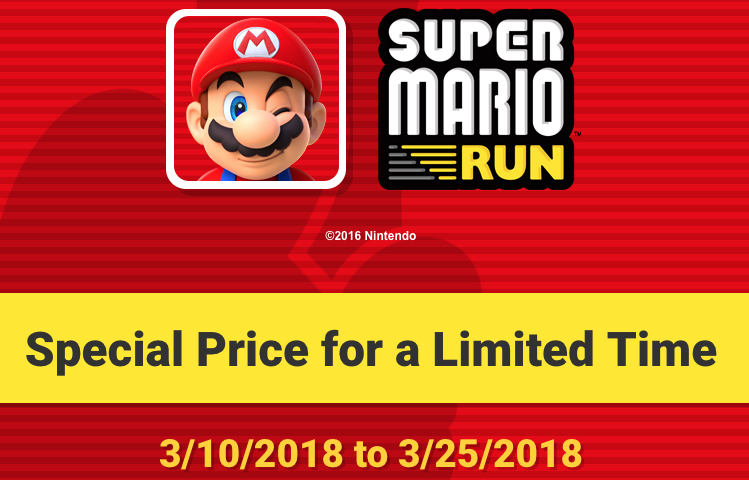 The special pricing for Super Mario Run will take place March 10th to March 25th, as noted on the game’s website (via Touch Arcade). Last fall, Super Mario Run also offered a 50% off sale, to coincide with a new update to introduce ‘Remix 10’ mode. Click here to download Super Mario Run for iOS in the App Store. Are you still playing the game?